"For a hundred and fifty," said Calder Jones, "and she wasn't worth the odd fifty." "He won seventy with her at Leamington," said Maxwell, "and I doubt whether he'd take his money now." "Is Cinquebars coming down here this year?" "I don't know," said Maxwell. "I hope not. He's the best fellow in the world, but he can't ride, and he don't care for hunting, and he makes more row than any fellow I ever met. I wish some fellow could tell me something about that fellow's brown horse." "I'd never buy a horse of Vavasor's if I were you," said Grindley. "He never has anything that's all right all round." This was magnificent. 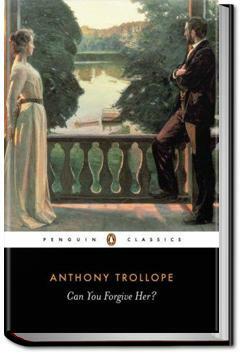 I love Anthony Trollope's writing style, his explorations of marriage, love and responsibilities. Few people can make me love and hate characters like Trollope can, and this is another resounding success. What an author.